(Ordinul Ferdinand I). Instituted on 10 May 1929. 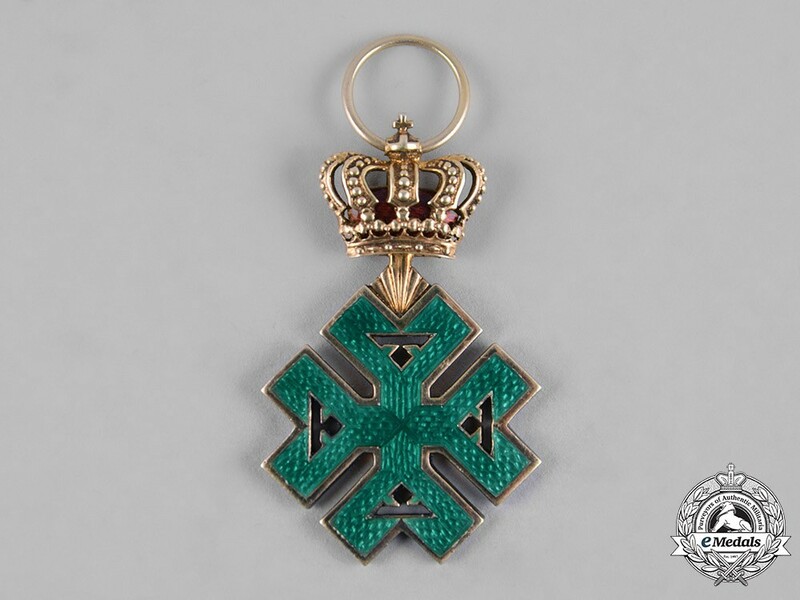 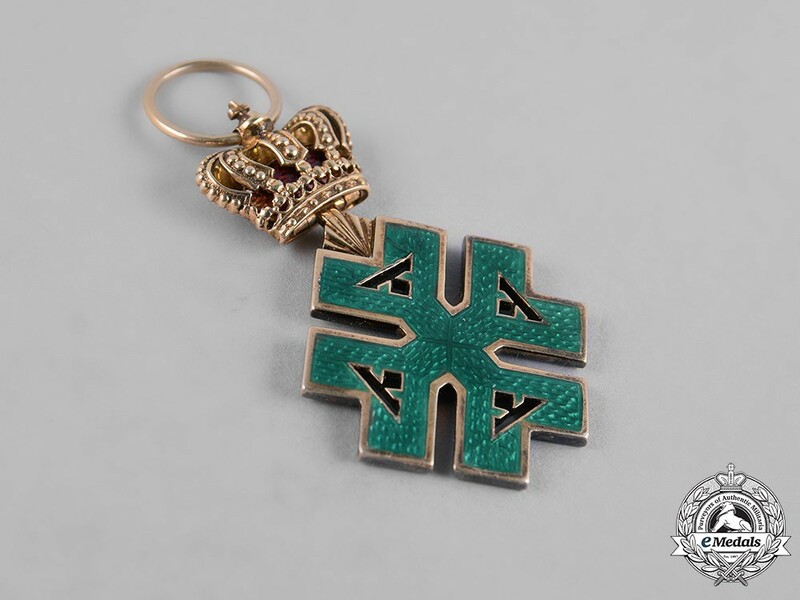 A gilded silver badge, presenting four ciphers of King Ferdinand (Double Fs), in green enamel, measuring 30.98 mm (w) x 49.96 mm (h - inclusive of imperial crown suspension), weighing 13.2 grams, and in extremely fine condition.